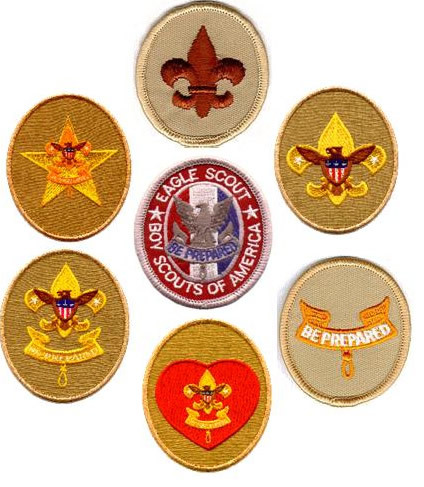 The Boy Scout advancement program is a series of Ranks that the Scout progresses through known as the Eagle Scout trail. Upon earning the Scout Badge (which is simply the way boys join Boy Scouts and is not a rank), boys work on the Tenderfoot, Second Class, and First Class ranks. During this phase, the focus of the ranks is on Scouting skills – the outdoors, physical fitness, citizenship, patrol/troop participation, and personal development. After completing these ranks, a Scout should be adept at participating in all of the activities in the Boy Scout program. During the second phase, Scouts work on the Star Scout, Life Scout, and Eagle Scout ranks. 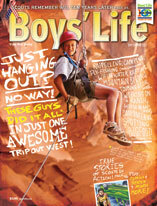 The focus of advancement switches from Scouting skills to personal development and community service. Merit badges are an integral part of rank advancement during this phase.